Less exercise is better than no exercise. Give at least 10 to 15 minutes to your body in a day; if you cannot give hours to two hours. You will feel better, healthier and energetic. Break exercise if you cannot do continuously. Like, do 10 minutes of exercise for three times a day. Mix up your workouts. Do yoga some day. Other days go for aerobics, next day dance and so on. You won’t get bored, and you move on happily. Learn to give yourself an alarm that how awesome you feel after doing the workout. If your mindset is to lose weight within six weeks because of it’s your best friend’s wedding, then you can never do that. Your goals should always be realistic. Eat natural and Real food. Develop a habit of eating natural and real food like fruits and vegetables. Make sure you do not drink alcohol too much at night. Not only this, avoid fizzy drinks too. It will not allow you to sleep and you will eat which vice versa will promote unhealthy habits. Feelings matter a lot. If you feel you look good; you will look good but if you develop bad feelings about yourself than you can never think positive about yourself; it’s a fact. Happy and fit people stay happy and make others happy. They have a good sense of humor. They usually have a habit of cracking jokes without hurting feelings of others. Develop a habit of putting a smile on peoples faces; one a day. Stop thinking I will diet. Stop thinking I will walk. Stop planning and just act on whatever you really want to do in life. This major feature is almost nearly common amongst statistical studies of the people who achieved huge weight loss. Eighty percent people who have lost almost 30 kgs have developed a habit of doing breakfast. Research also supports this evidence that people who up and eta breakfast tends to lose more weight. In addition, those people who have regular breakfast eating patterns; have better mineral and vitamin status. Our body is like a machine. When one stays asleep for a longer period of time, then he or she needs energy which comes from the first food you eat which is breakfast. Furthermore, it reduces hunger and craving to eat sugary and fatty foods. You make better choices at lunch if you eat healthy breakfast. No one likes to look older. For thousands of years, people have sought to find every possible way to look as young as possible. It’s a near obsession with many as they seek for that special remedy or claim that will provide them with the ultimate fountain of youth. Sadly, many businesses and individuals have taken this obsession and used it as a tool to try to swindle people out of their money. They come up with a new miracle cream, soap, or supplement that will turn back the clock on a person’s years and make them look 10 to 20 years younger. At least that’s what they promise. Ninety-nine percent of the time, it turns out to be nothing more than a gigantic scam that cost people loads of money and did nothing for improving the way that they looked. More than just take people’s money, what frequently happens is that this causes a person to become more jaded about life and people in particular. They begin to doubt whether there is anyone out there that they can trust and become disillusioned with mankind in general. Then, when a solution does come along they have incredible doubts about its authenticity because of the way that they retreated before. This is the trouble that many have faced when looking for that great solution to reduce the number of years on their face, but there is a remedy out there that is leading to great success and that is the miracle anti-aging cream that first hit the market on the television show Shark Tank. For those of you who are unfamiliar with the show that is completely irrelevant. The important part is that this cream, known as the Amore Skin, was brought to the program by a South Korean sister team who were looking for a strategic partner to assist them in turning this into a business that could aid millions of people across the globe. It quickly became known as the Shark Tank Miracle Cream. In a very short period of time this cream has been proven to provide dramatic results in helping people to look much younger than they did before. In experiments conducted on individuals who documented what they look like before they started using the cream and after they were using it for just 14 days has found that the results are truly remarkable. Saggy lines that appeared on the face disappeared in no time at all. Age spots lightened making the person look significantly younger, and those horrible lines that appear near the eyes of many people, also known as crow’s feet, disappeared as well. It was truly remarkable how much success people were having in looking younger in such a short period of time. 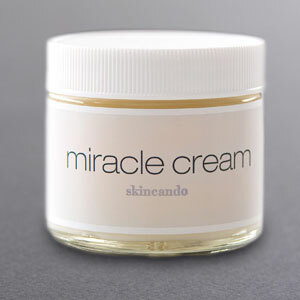 You may have your doubts about how well something works, but if you don’t take the risk of trying out the Shark Tank Miracle Cream to see if it is the solution for you then you may be making a serious mistake.